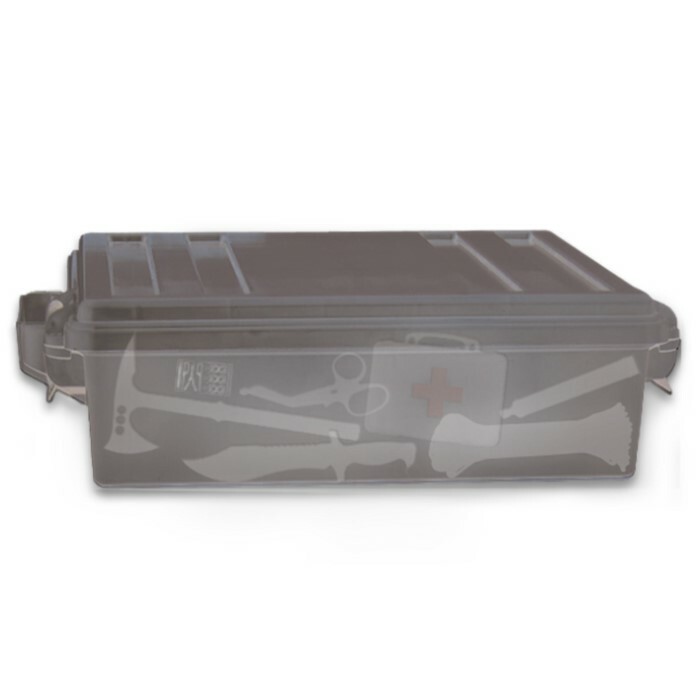 Doomsday Mystery Crate - Rugged Ammo Crate Packed with Assortment of Survival, Emergency, Outdoors, Bug-Out and Other Gear | BUDK.com - Knives & Swords At The Lowest Prices! "Doomsday" or "ordinary day" - the difference can be just a matter of preparedness. Be it natural disaster, pandemic, grid failure, economic collapse or simply an extended power outage, there's no doubt about it - a catastrophe is coming your way. Will you be ready? Or will it spell your "doom?" 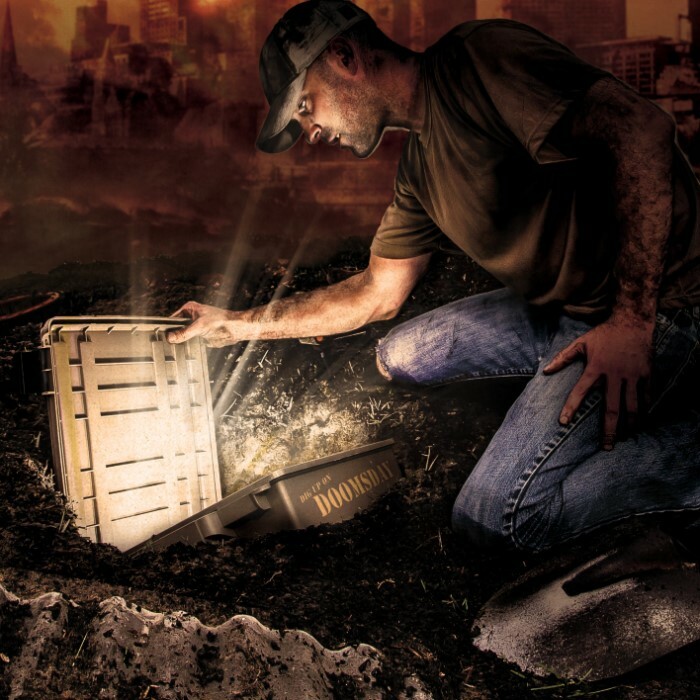 Be ready with the Doomsday Mystery Crate - an O-ring-sealed, rugged polymer ammo case packed with a variety of outdoor, survival, tactical and emergency gear, as well as other assorted bug-out must-haves. But it's not just for doomsday preppers, survivalists and outdoorsmen. Every household needs at least one Doomsday Crate! After all, storms, power outages and other disasters affect everyone, whether you live in the suburbs or remote back country. Get one for every family member and every vehicle. Add it to any existing emergency supply shelter or crisis cache. Give them away as heartfelt-yet-practical gifts. Think you can't afford it? Think again! 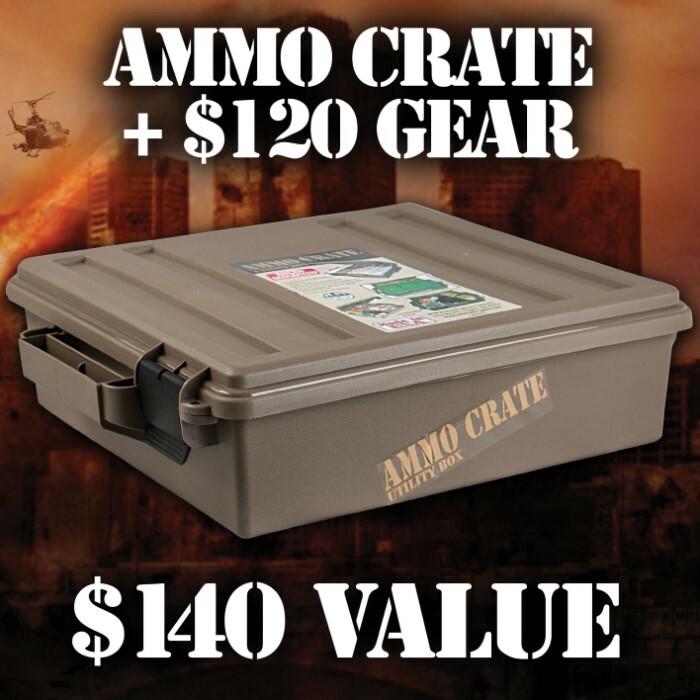 The Doomsday Mystery Crate represents an unbelievable value; for less than 70 bucks, you get an ammo crate and gear worth a combined $140! It's an amazing deal by anyone's standards, but it's especially a small price to pay when you consider the devastating, potentially "life-sized" costs of facing doomsday unprepared. Every item in the Doomsday Crate is top-quality, brand-new, never-opened, and - most fun - a "mystery!" Opening the Doomsday Mystery Crate for the first time is like opening a present on Christmas morn! 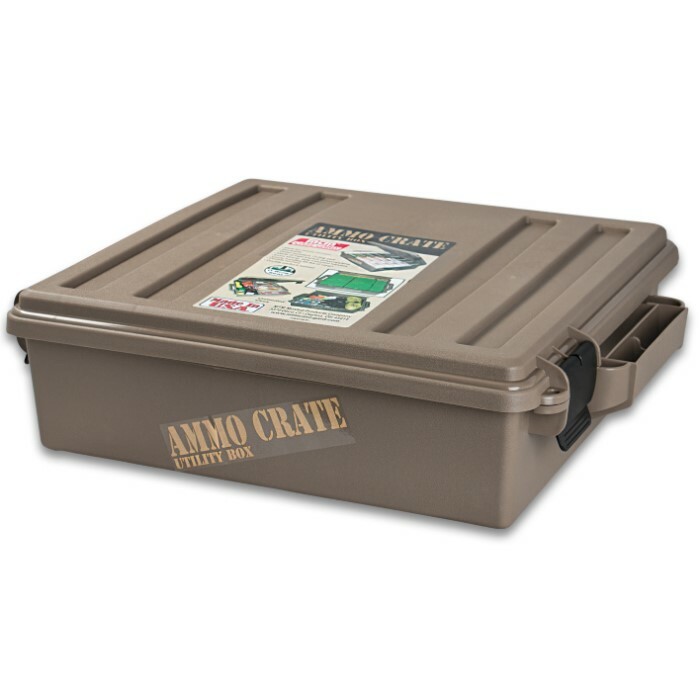 Fittingly, this pre-stocked ammo crate makes a terrific, affordable, no-hassle gift for any occasion - Christmas, Hanukkah and other holidays; birthdays, anniversaries, graduations and more! Just don't forget to get at least one for yourself, too! You won't want to deny yourself this unbeatable opportunity to get the sweetest gear on the market at the most unheard of, rock-bottom prices ever! Missing out would spell "doom" for your wallet! I bought one of these to check it out. It came with some great stuff! And good quality products to boot! I ordered my second one and will be ordering more for myself and Family as I can afford it. Definitely worth the $$$!!! Many repeats from the mystery bug out bag, but spares never hurt. All in all happy with this. I was at first very happy opening the "mystery' crate, but somewhat let down when I checked the catalog for prices and found that most "not all" was in the clearance or bogo section (in other words "half" price. It is for the most part a good selection of basic survival bag gear. But after whipping out the calculator and going item by item figured out I still had over $120.00 worth of merchandise NOT counting the crate or the shoulder bag included for just under $75.00 . I was so put off I ordered another one two days ago............now that makes 1 small mystery backpack 1 middle sized mystery backpack and TWO mystery crates. And I NEVER thought I would ever be one of those people to order a "mystery" anything. I been buying items from budk for a few years. I started buying shtf boxes and I get 1 of each one every month and a knife of the month and have been doing this for a year. I have only seen one item in the boxes that didn't intrest me. But everything else is awesome and can't believe how much of the work they take out of this gearing up for any disaster or and accidents while out. I recommend you get a shtf box and see how well they get you ready. Thank you budk. everything in here is very usable.I like all of it. ESPECIALLY the Wise food packet. Of course any rational person would have several sources of food for preppers. I don't want to limit myself to a constant 3 meals of the same food over and over. I have been waiting to order this item but I am glad I did order it. The items in the crate were at the cost of purchasing the crate plus you get the crate and the M8 ops fanny pack. The were a few repeats and some new items that I have not received before. I wish they would have put in some water purification tabs or water filtration straw. My only issue in the Wise foods do not have more calories in there food. There was a creamy vegetable pasta with 4 servings with 200 calories per serving. If I was in the woods I would need there some wild game to go along with that to survive. There is not enough calories!